ESPN rumor king Adrian Wojnarowski and fellow great hoops reporter Zach Lowe held court for a half-hour on ESPN2 on Wednesday with the NBA’s trade deadline less than 24 hours away, and both well-sourced reporters made Markelle Fultz’s future in Philadelphia sound very, very shaky. 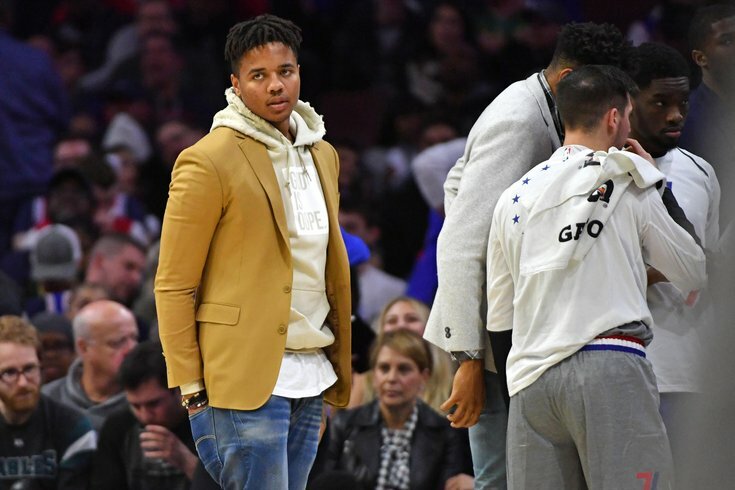 You can (and should) read more from Kyle for context on the Fultz situation, including what he thinks the Sixers could do with the beleaguered guard, and what Brett Brown had to say about Fultz’s possible appearance in the team’s postseason run. Admittedly, this reporter was also watching the Woj/Lowe special at his desk, so here’s a little extra context to how they arrived at this talking point. The discussion obviously started with the Tobias Harris blockbuster deal from the wee hours of Wednesday morning, a high-risk, high-reward move from free-wheeling Sixers GM Elton Brand. By sending a package of draft picks (including that juicy Miami first-rounder) and young talent (so long, Landry Shamet!) to the Clippers for a stud player on an expiring contract, the idea is clear: the Sixers need to retain one (or both) of Harris or Jimmy Butler this offseason. What fans need to remember about the Harris and Butler moves, Lowe explained, is that the Sixers wouldn’t be in the position of taking huge risks right now if Markelle Fultz was giving even half of what your average No. 1 overall pick is expected to give a team. Fultz has scored 255 points on 266 shots since being drafted by the Sixers, and hasn’t played a game for the team since Nov. 19. Because they couldn’t capitalize on a supremely young core of Fultz, Joel Embiid and Ben Simmons, Lowe continued, they’ve arrived at the for-now Big Four of Embiid, Simmons, Butler, and Harris. And so then, what of Fultz’s future? You can’t pay four stars big money, pay Fultz his first-rounder salary while he doesn’t play (or plays poorly), and also fill out your team enough to be competitive. Both Wojnarowski and Lowe made a possible move in the next 24 hours sound very possible, and borderline likely. The quotes above, especially the one from Wojnarowski, speak for themselves. The NBA trade deadline is Feb. 7 at 3:00 p.m.